Scientists turn to tree rings to learn more about our climate's history. By analyzing rings found in cross sections of trees, a team of researchers has found new evidence that the climate is hotter today than it was in the so-called medieval warming period, a discovery that some scientists say rebuts a key argument of global warming skeptics. “Tree rings provide a unique annual resolution,” said Rosanne D’Arrigo, a senior research scientist at the Tree-Ring Laboratory of Columbia University Lamont-Doherty Earth Observatory. “There is no dating error” in tree ring research, she added. A study of D’Arrigo’s has been getting a lot of attention recently because it was cited in the new assessment report issued by the United Nations’ Intergovernmental Panel on Climate Change. She concluded, through studying samples of trees collected in 66 locations in North American and Europe, that current temperatures are warmer than at any time over the previous millennium – even the so-called “medieval warming” of the Tenth through Fourteenth Centuries. She reconstructed temperatures from the past 1250 years and found that temperatures are, on average, 0.7 degrees Celsius higher now than during the medieval warming period. D’Arrigo’s study has become a key piece of evidence countering assertions by those who argue that the current warming trend is not caused by emissions from burning carbon-based fuels, but is merely part of a natural cycle that was exceeded 1,000 years ago. Other tree ring scientists agree that the evidence shows temperatures are warmer now than in medieval times and say humans are responsible. “Cycles are not magic. Cycles aren’t just in nature out of nowhere. They have clear and physical reasons… and we can say with a great deal of confidence, as the IPPC did say, that the particular combination of conditions that we are seeing now cannot be explained in terms of natural variability,” said Malcolm Hughes, a nationally prominent tree ring specialist at the University of Arizona. Still, not all researchers are convinced that tree rings can accurately reconstruct temperatures during the medieval warming period. “You cannot use tree rings to estimate climate in general…you get very noisy data out of which you can’t get a signal,” stated Craig Loehle, a mathematical ecologist at the National Council for Air and Stream Improvement who studies climate change through ocean sediments but who has written about tree ring data before. Different factors can affect tree ring growth, he said. “If the growing conditions get better, there’ll be a burst of growth – that could lead to the trees taking up all the space and crowding each other. Then the growth will fade.” He went on to say that because of this, the studies are qualitative and are difficult to add up. Loehle also stated that the current warming is not more pronounced than in the past, and that “the medieval warming period was either comparable to today or a hair warmer.” According to Loehle, tree rings can be used to track climate change only if there is a way to confirm the results, such as with weather records or other kinds of studies that track climate. Dendrochronology, or examining tree rings as a method for scientific dating, is one way scientists track changes in the climate. It provides accurate dating because each ring represents a year in a tree’s life. “You can find a ring from 1747 on one tree and then find 1747 on another and you can make maps. You can convert them into estimates of the climate,” said Arizona’s Hughes. Researchers extrapolate past climate conditions based on the thickness of the rings. Warmer temperatures correspond to thicker rings. In the winter, trees are dormant and do not grow. In the spring and summer the tree bark begins to grow again, which forms the ring. Scientists have also examined changes in solar radiation and the atmosphere in the past using carbon dating on tree rings. In a 2004 study published in Nature, Sami Solanki and researchers from the Max-Planck-Institute in Germany reconstructed sunspots from the past 11,000 years using carbon 14 dating on tree rings. In her study, D’Arrigo compared rings from multiple trees to garner information about climate history. “The patterns matched up in different trees…we found a narrow ring in one tree and in the other trees,” she said. Tree growth is determined by temperature ranges not average temperature. Temperatures that are too high, including night time temperatures, may slow or stop growth. Trees also need an appropriate amount of water. Too little and they cannot grow. Too much can make the soil too wet and damage the roots. The length of the growing season is also important. The idea that anyone can get an accurate temperature reading of the past from tree rings is ridiculous. those who believe this is possible should not call themselves scientists. It’s very helpful. 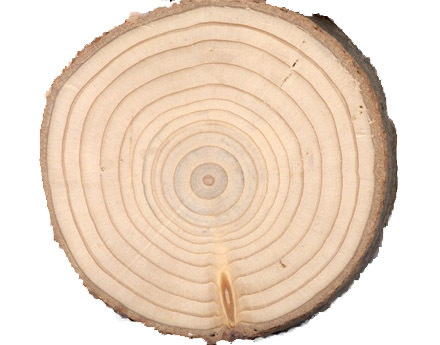 We get the factors affecting trees using tree ring structure. Is there any possible to give solution for this climatic condition using this tree ring structure?